Jared Ellis, NFA technology teacher, Simon Downing and Karen Godsall with pupils. 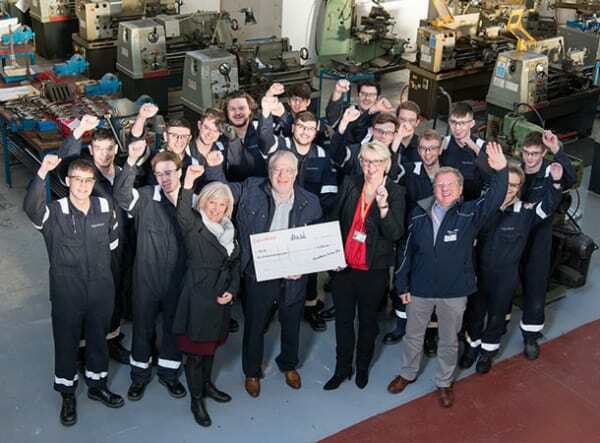 Students at New Forest Academy, Holbury, and apprentices at Southampton Engineering Training Association (SETA) are set to benefit from a New Year contribution from ExxonMobil Fawley. 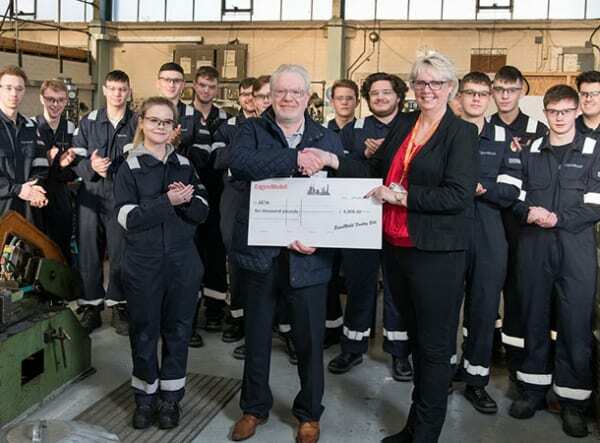 The refinery and petrochemical plant has donated £6,000 to each organisation as part of its commitment to encouraging young people in the local community to study science, technology, engineering and maths (STEM) and to pursue careers related to those subjects. 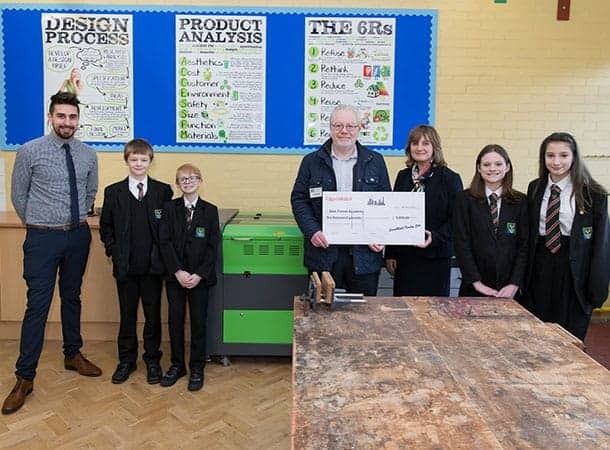 Simon Downing, Refinery Manager at ExxonMobil Fawley, said: “Making sure we play our part in helping to give local young people opportunities to engage in STEM is an important priority for the site. The £6,000 awarded to New Forest Academy (NFA) will be used to help fund a series of STEM events. These will see about 150 pupils from local primary schools invited to take part in enjoyable science-related activities, assisted by teachers and older students from NFA. The donation will also help to purchase a state-of-the-art laser cutting machine. This will be used by GCSE technology students for their project work. New Forest Academy Principal Karen Godsall said: “We are delighted that ExxonMobil is supporting us with important STEM-based projects. The students will benefit enormously from using the laser cutter in their technology lessons. 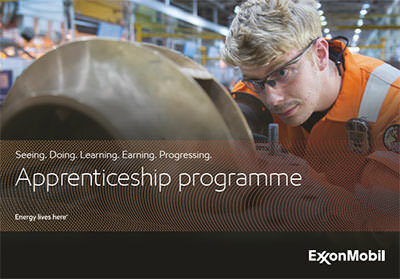 Apprentices studying at SETA will also benefit from a £6,000 contribution from ExxonMobil Fawley. The money will be used to buy new tools and equipment needed for a variety of trades, including fitting, machinery, electrical and instrumentation. A significant proportion will go towards purchasing much-needed welding equipment, while the cash will also help to increase SETA’s range of portable hand tools. Julie Gough, Managing Director of SETA, said: “We are overwhelmed with the donation from ExxonMobil Fawley. As a registered charity, established in 1969, we have spent the past 50 years committed to quality engineering training for young people and have built links with local schools to try and encourage them into the industry. 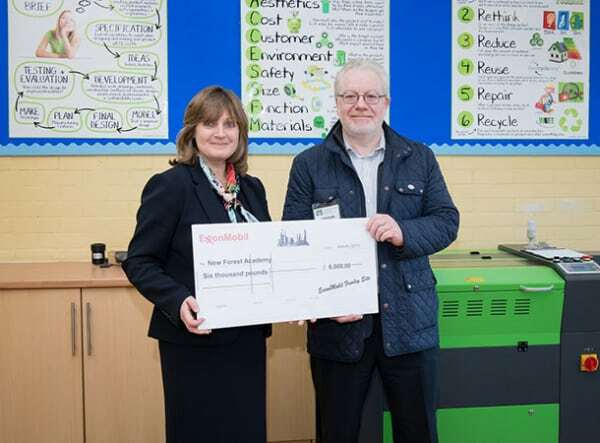 “We work closely with the STEM network, so this donation from ExxonMobil fits perfectly with our ethos. Karen Godsall, New Forest Academy Principal, with Simon Downing, ExxonMobil Fawley Refinery Manager. Alison Jones, ExxonMobil Fawley Community Affairs Manager, Simon Downing, Julie Gough, Managing Director of SETA, Gary Ranger, ExxonMobil Fawley Chemicals Unit Maintenance Leader and ExxonMobil representative on the SETA Board of Trustees, with SETA apprentices.